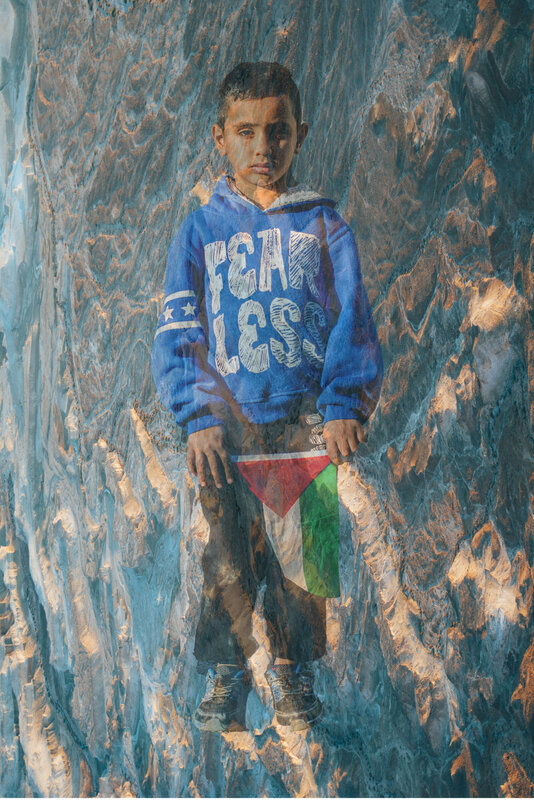 A boy holds a Palestinian flag with Masada superimposed on his portrait. Boys selling food in Hebron, Palestine. Boys play on their cell phone in Ezuz, Israel. I was listening to the Ted Radio Hour podcast the other day and a very interesting segment named Beyond Tolerance came on. In a world full of differing opinions, whether you are for the current president or against him there is one thing I have been seeing on both sides of the equation- frustration. Every time I enter into a political conversation with my father or anyone the least bit in favor of the president's policies that is all I feel- frustration. I can't seem to fume passed their objections with my own (what I believe to be) right minded opinions. Traveling the world throughout this year I have found such division in so many others parts of our planet. I started out my trip in the Middle East and toured through Palestine (the West Bank) and Israel- the conflict that truly shows what division can look like. The wall that divides Jerusalem, Israel. I realise the divisiveness of Trump and his doings as a political figure and leader of the free world has ripped the United States in two. I see how easily we can be caught up in our own perceptions of right and wrong. I yearn to understand that word of what is Tolerance and why is that something we strive for in the first place? Within the podcast it takes us through varying subjects of division from race to abortion to of course the Israel/Palestine conflict. It dissects the concept of tolerance. A sign in Tsfat, Israel. Tolerance is defined as the ability or willingness to allow the existence, occurrence, or practice of, in particular the existence of opinions or behavior that one does not necessarily agree with. You hear the saying "oh well at least they are tolerating each other," as a common end to an argument. They despise everything about each other, who they are, what they stand for but at the very least they allow for each others opinions to exist. That to me seems to become just another frustration- an end to a conversation that has not finished, that angry monopoly game no one wins because one person storms off. Honestly, why is it tolerance what we strive for when we can ask for more? No what we need is reconciliation. Aziz Abu Sarah talks about this concept between Palestinians and Israeli's on the TED stage. He talks about what steps he is taking to find understanding between the divided nations and how he plans to hear them, empathise with them and learn from them. Now I was having a conversation with an American man I met at 4:00 am in the dark corners of my hostel in Iceland the other night and he told me something that I seem to forget. We were talking about something completely different, the political divide in America and he asked me why did it concern me so much when it doesn't affect my life directly? A boy sings and prays outside of Beersheva, Israel. A boy rides his bike in Hebron, Palestine. That question- is so simple but something I forget to consider. Being a traveler has opened my eyes to a world I had not seen before. I am lucky to say that I am working towards becoming a more informed human and it jarred me to think that not everyone is open to that. The Israel/ Palestine conflict doesn't affect my life directly, maybe hate crimes don't affect my life directly- I'm not the one who may or may not be shot at, maybe Trump's policies do not affect my life directly. And that is where I can see the narcism and the "tolerance," people so often talk about as being a scape goat. You see I can tolerate someone else's opinion because it does not affect me. Tolerance allows me to live my life free of seeing someone else's perspective and instead allowing the other to exist - because it doesn't directly affect me. 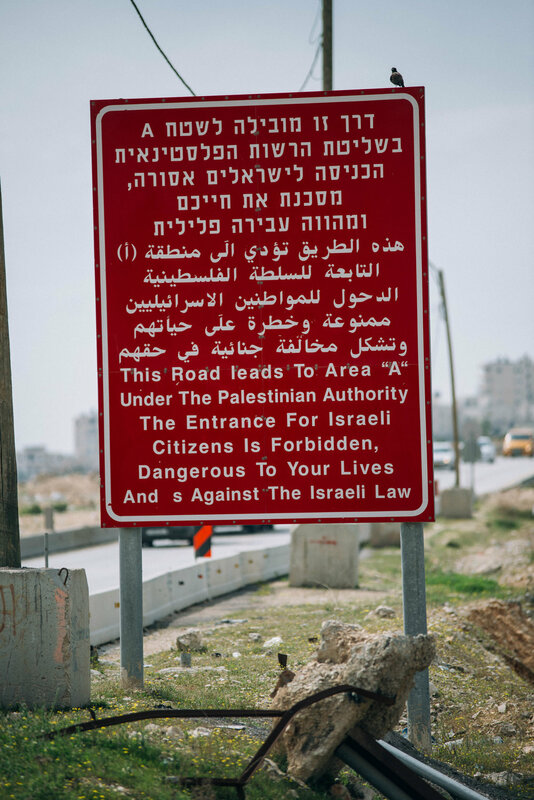 A sign warning Israeli's not to go any further outside of Bethlehem, Palestine. I can venture to say that the average American may not know what is truly going in the Middle East because it doesn't affect them directly. It's simple to live in a bubble, easy to allow your world view to be of just one set of eyes instead of a global perspective. Yet I have not met one person who does not desire to travel- doesn't hope that one day they'll get to stand on top of that mountain top with their selfie stick and take that instagram photo. So I think to allow for tolerance to be a beginning block to reaching reconciliation I say travel, explore, ask questions, and push the boundaries of why do you think that? And this is how tourism and travel can be a solution to a conflict that dates back centuries. Many people believe you can't tour the West Bank - that it is closed off. To Israeli's yes, though I have met some Israeli's who have snuck into Palestine because they are curious. But to outsiders, to traveler's, you can. There is a thriving tourism industry there. Go to both sides, explore areas you might not have thought to. A boy walks through the halls in a settlement in Hebron, Palestine (West Bank). Use the time you have on this planet to learn about something that would in no way affect your daily life prior. Because what else are you spending your time on this planet doing but learning? 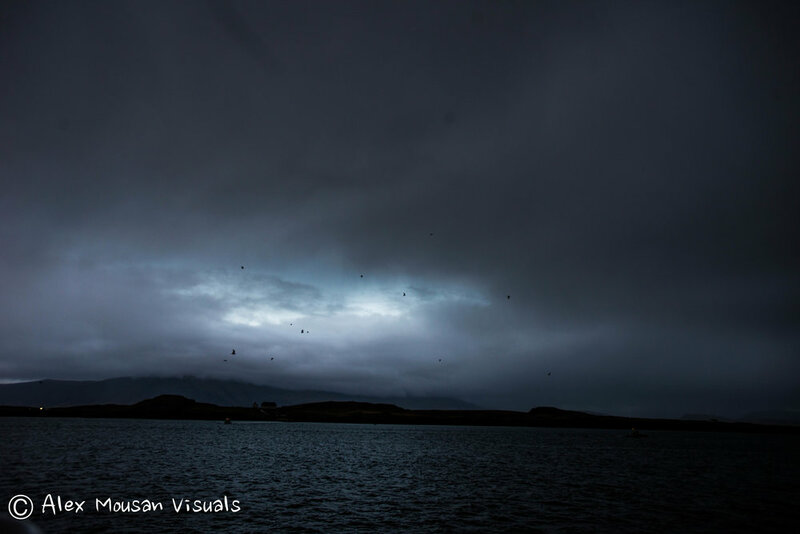 In Iceland every year on Oct 9th (John Lennon's birthday) Yoko Ono erects a blue beam of light on Viðey Island off the coast of Reykjavik. She keeps that blue light on until the Dec 8th (the day John Lennon was assassinated) to represent a beam of hope and peace. I took a ferry with a few friends I had made and we ventured onto the island with a couple 100 other people. It began to rain and it was cold, there was no room inside to sit so we stood outside waiting. The Imagine Peace Tower in Viðey Island, Reykjavik Iceland. 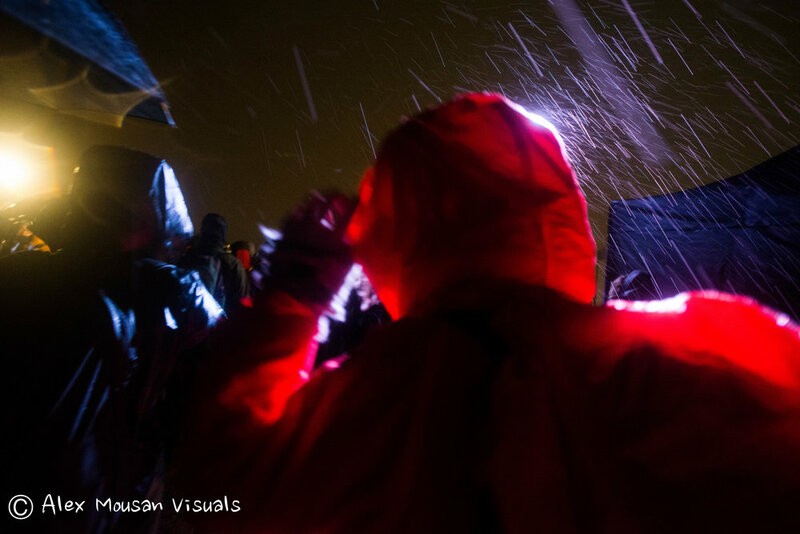 It baffled me to see all these strangers braving the cold, rain, wet, discomfort just to see a big blue light turned on. They put on Imagine as the light was flicked on and everyone started singing along, it felt like I was in a movie. I wasn't moved to tears or anything like that but I was happy to watch as an observer. These people who don't know each other tolerated the weather and discomfort to witness something that represents peace. So the next time you decide to pack up your bags and go somewhere new - take a moment to think about what you want to gain from that place you see on your instagram account. Is it the beautiful destinations, the food, or do you want to learn about something, somewhere you had never thought would be incorporated into your life? Travel should be something that changes your perspective, its the experiences you look back and remember to be turning points in how you grow into a better human being. What do you hope to gain from a being on a cruise for 9 days with all Americans visiting only touristic parts of a country? Be an educated traveler- learn customs, learn phrases, learn about its history, get out of the tourist bus and walk the streets, talk to people and ask them questions. Brave yourself in being the one that may not know something and allow for yourself to learn about another idea, another view and maybe give hope to reconcile with a concept you hadn't thought to incorporate into your own life. We are not islands, let these concepts become building blocks to a higher understanding of life. A mosque in Ramallah, Palestine (West Bank). A man prays atop Masada, an ancient fortification in the Southern District of Israel. It is located on the eastern edge of the Judaean Desert, overlooking the Dead Sea. A Palestinian woman poses for her portrait in Jericho, Palestine. To learn more about Yoko Ono's art work go to Imagine Peace Tower. To learn more about the Israel/ Palestine conflict or check out this list of books to pick up. To listen to more groundbreaking ideas adapted to radio: TED Radio Hour.